After its foundation in 1989, Ars Antiqua Austria at first devoted itself wholly to the scholarly preparation and musical revival of the works of Austrian Baroque composers. The rich fund of rediscovered works gave rise to a number of successful first recordings. Since 2002 Ars Antiqua Austria has staged a concert cycle of its own in the Vienna Konzerthaus. The ensemble has pioneered a concert series which has extended over several years entitled "The Sound of Cultures – The Culture of Sound," comprising a total of 90 concerts in Vienna, Prague, Budapest, Bratislava, Kraków, Venice, Ljubljana, Mechlin and Lübeck. In the course of its concert tours the ensemble has visited the Spring Arts Festival in Nantes, the Monteverdi Festival in Cremona, the Munich State Opera and the Salzburg Festival. It is also a welcome guest in the USA and Japan. 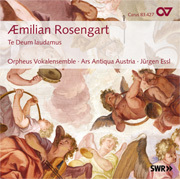 The activities of Ars Antiqua Austria are documented on numerous CDs. 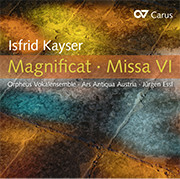 A recording of Francesco Conti’s "Cantate con istromenti I–IV" with the mezzo-soprano Bernarda Fink was awarded the "Diapason D’or" only a week after its release. Gunar Letzbor, the leader of the ensemble, received with Ars Antiqua Austria the Cannes Classical Award 2002 for their recording of the "Capricci Armonici" by Giovanni Buonaventura Viviani.